Well, Google Play Games has been confirmed by a number of app updates before the Google I/O keynote has even started. 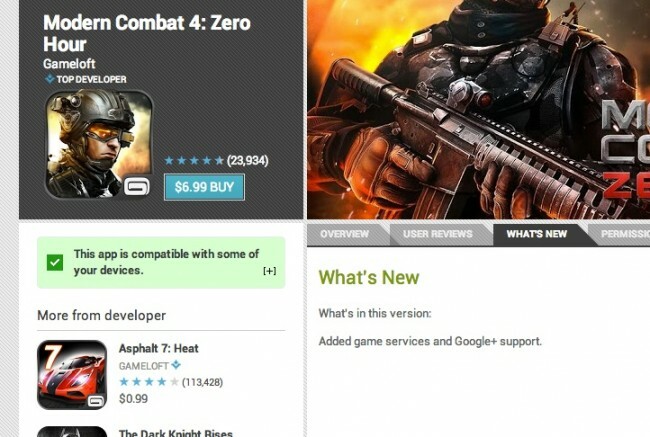 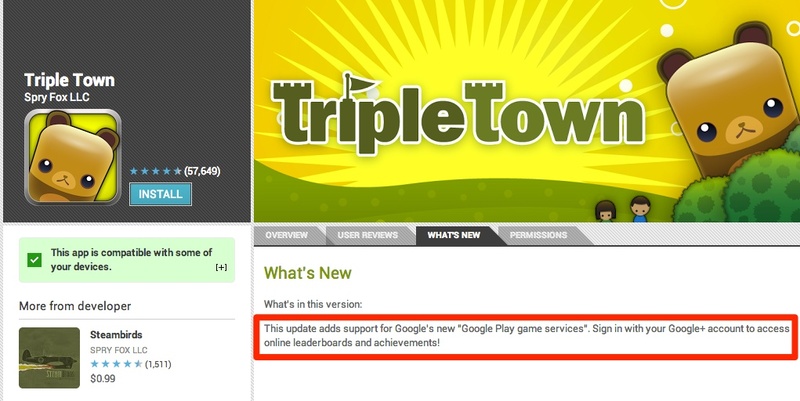 As you can see in the changelog for the update to TripleTown (and Modern Combat 4 below), we’re getting “Google Play game services” that include leaderboards and achievements as long as you sign into the game with your Google+ account. Be sure to tune into our liveblog of the keynote, with live video feed.